Considering an NP hire but unsure of the return on that investment? When looking at the value-add of NPs to the bottom line, the results are extremely positive. A recent report by MGMA (Medical Group Management Association) found that primary care practices with a non-physician provider-to-physician ratio of 0.41 or greater earned over $100,000 more annually in revenue. While the MGMA report does point to greater overall revenues when NPs are used, the benefit of using NPs varies by practice. Thus, before health systems and practices staff NPs they need to evaluate their current patient volume and reimbursement situation. An efficient way to go about this evaluation and analysis is the use of the NP formula. Part 5: Deduct the compensation package for the NP hire (Average is 135K salary and in some cases, 15% higher if in a state without mandated physician consultations + 30% of the salary for benefits), your company’s profit policy and cost of overhead expenses. Billing procedures and reimbursement for NPs vary greatly, both in states allowing NPs full practice authority and in those with restrictive SOP laws. Analyzing how much an insurance company, Medicare or Medicaid actually pays a nurse practitioner quickly gets messy. In some cases, services provided by nurse practitioners are reimbursed by insurers at rates equal to or close to those of a physician. In other instances, nurse practitioners receive only a fraction of the rate that a physician would receive for providing the same service in the same location. In some hospital settings, there are two ways that NPs can provide care with regular daily visits. (1) They can do an independent visit in which case the physician does not need to see the patient or document anything – these are reimbursed at 85% of the physician’s reimbursement. (2) They can do a “shared visit” so that they do part of the encounter and documentation and the physician does part of the encounter and also does part of the documentation – in this case, the reimbursement is 100% of the physician’s reimbursement. Furthermore, while hiring NPs can be a great way to increase revenue, there does have to be some thought to SOP (Scope Of Practice) laws when staffing a practice with NPs. Laws vary by state, and the requirements that a practice must abide by will dictate how beneficial the addition of an NP can be to a practice. For example, in states where NPs have minimal restrictions, NP staffing makes sense. In states where NPs need complete physician supervision, the revenue benefits will significantly decrease. However, it should be noted that SOP laws across the country are changing to become less burdensome, so while now may not be the time to add an NP to your roster, that may very well change in the future. 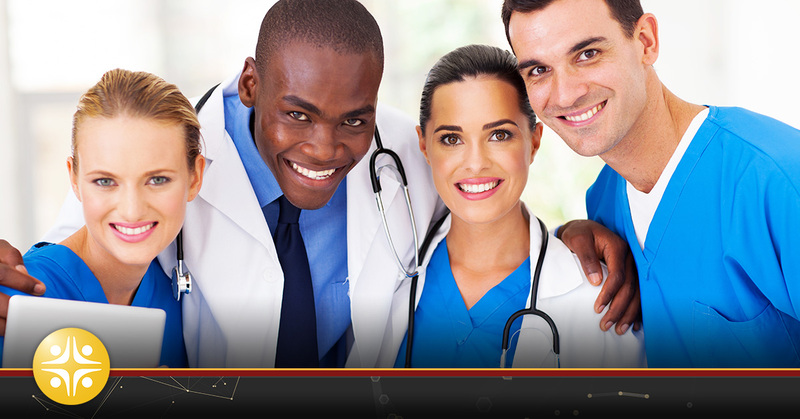 Hiring NPs can be a win-win for any institution or medical practice. Not only can the practice benefit from improved patient satisfaction, they can also experience increases in revenue. However, NPs may not be a fit for every practice depending on the results of the NP formula and applicable SOP laws. It is a situation where one size doesn’t fit all, and final decisions need to be made specific to the practice. Is your medical practice in need of some new providers? Are you looking for talented and dedicated NPs to help enhance your organization? If so, your search is over. At MedSource Consultants, we provide our clients with NPs and other medical professionals who are devoted to patient care. Contact our top healthcare recruiters today to learn more!